There are many ways to get great sounds from your computer speakers with a USB guitar interface through software programs like those offered by Line 6. One of their best amp modelers is the GearBox software that comes with their TonePort series of devices such as the Line 6 TonePort UX1. This software is a great program for beginners getting into amp modeling on their computers. 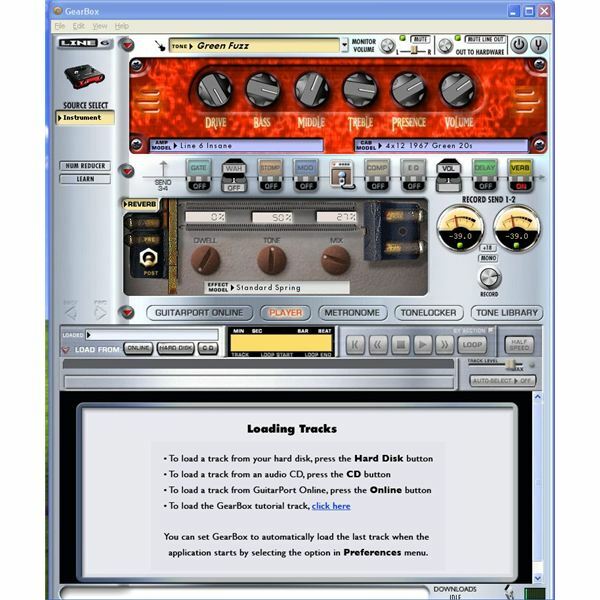 The program allows any guitar or bass player to plug their instrument directly into their TonePort and begin making great amplifier sounds on their computer. The software works just like any amplifier, you simply adjust the knobs to dial in your sound. You can create a wide selection of sounds and use effects to refine them. GearBox allows you to create your own sounds and save them, and it comes with plenty of presets too, from jazz to full-on metal. The GearBox software is designed for beginners just getting into amp modeling and is quite easy to use once you read the included manual. You will need some experience working with amplifiers and effects since the program works just like the gear you use with your guitar. GearBox comes bundled with the TonePort series of devices. Setting up the device is as simple as copying the software from the included CD and then plugging your instrument into your TonePort device. While you’ll find more advanced USB guitar interface programs such as AmpliTube, you can get great sounds out of the GearBox software. It might seem a bit intimidating when you first begin to use it due to all the dials, amplifiers, and effects but soon you will use it as much as an old reliable amplifier. The unit comes with great amplifiers such as the 1953 small tweed, or the 2001 tread plate which is based on the Mesa/Boogie Dual Rectifier. I had never used a USB guitar interface or software like GearBox before, so this was my first attempt at it. The software was so easy to use and I was creating great sounds right away. The program has one drawback though, you can’t record with it, unless you have another program like Audacity or other recording software. The range of sounds I could create with the program was impressive. The presets that come with the GearBox software are pretty good too, and you can easily change them by tweaking an amplifier knob or adding in a cool effect like delay. The software does everything from mellow blues all the way up to metal tones. The Tone Library is fun because there’s already great sounds from famous players such as Eddie Van Halen you can download and use right away without fussing with the amplifiers in the program. There are also some great effects like the famous Tube Screamer or you can chain your own effects into your USB device to use with the program. 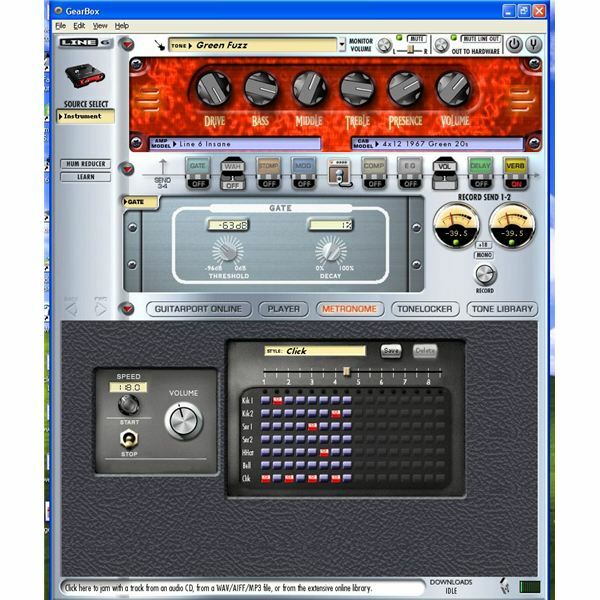 The GearBox software comes bundled with many Line 6 USB guitar interfaces so prices vary. My Line 6 TonePort UX1 cost around $150.00 when I bought it in 2008. The model is discontinued now, but you can still get GearBox with other Line 6 devices. The program does so much that is could easily cost $120.00 by itself and I would still buy it. GearBox isn’t perfect and it can’t record without a standalone program, but it’s great for anyone new to using a USB guitar interface and amp modeling software.